Dr. Repnikova is a scholar of global communication, with a comparative focus on China and Russia. Her research examines the processes of political resistance and persuasion in illiberal political contexts, drawing on ethnographic research approaches and extensive time in the field. Maria holds a doctorate from the University of Oxford, where she was a Rhodes Scholar. She speaks fluent Mandarin, Russian and Spanish. 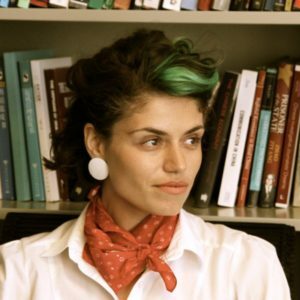 Maria’s work is forthcoming in the China Quarterly, Journal of Contemporary China, and Problems of Post-Communism, and has appeared in media venues, including Foreign Policy, Foreign Affairs and Wall Street Journal. Her book manuscript on Chinese media politics is coming out with Cambridge Press this May. The courses taught at GSU include International Communication, Chinese Media, Politics and Society, and Communication in Global Contexts.